From left: Ed Martin, UA County Extension Director, Maricopa County; Brett Cameron, Project CENTRL board member; Monica Kilcullen Pastor, CENTRL director and UA associate area agent; Cheryl Goar, Project CENTRL president; Con Englehorn, Project CENTRL board member; and Ethan Orr, UA assistant vice president for government affairs and community partnerships. Congratulations to these recently honored University employees and programs. The Arizona Daily Star's annual "40 Under 40" list recognizes young leaders who are making an impact in the community through their professional and charitable work. Three UA employees made this year's list: Nolan Cabrera, assistant professor of educational policy studies and practice in the UA College of Education; Dr. Aimee C. Kaempf, clinical assistant professor of psychiatry in the UA College of Medicine – Tucson; and Melissa Curran, associate professor of family and consumer sciences, adjunct assistant professor of communication and Fitch Nesbitt Associate Professor in the John and Doris Norton School of Family and Consumer Sciences. The "40 Under 40" honorees will be recognized during an awards breakfast at the J.W. Marriott Resort and Spa on Dec. 4. 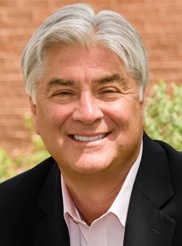 Dr. Joe G. N. "Skip" Garcia, UA senior vice president for health sciences, has been elected to a three-year term on the board of directors for the Association of Academic Health Centers, or AAHC. The AAHC is a nonprofit association dedicated to advancing the nation's health and well-being through the vigorous leadership of academic health centers. The UA Health Sciences is a member of the organization. Garcia, the UA Merlin K. DuVal Endowed Professor and an elected member of the National Academy of Medicine, is an internationally noted physician-scientist, health administrator, scholar and educator. He is a leading authority on the genetic basis of lung disease and the prevention and treatment of inflammatory lung injury. A key member of the UA's senior executive team, Garcia provides academic leadership for the UA Health Sciences colleges. Jan Cervelli, dean of the College of Architecture, Planning and Landscape Architecture, was conferred honorary membership in the Southern Arizona Chapter of the American Institute of Architects at the chapter's annual meeting. Cervelli was recognized for making significant contributions to the architecture profession and the Tucson community. Honorary membership is one of the highest honors that the American Institute of Architects can bestow upon a person outside the profession of architecture. 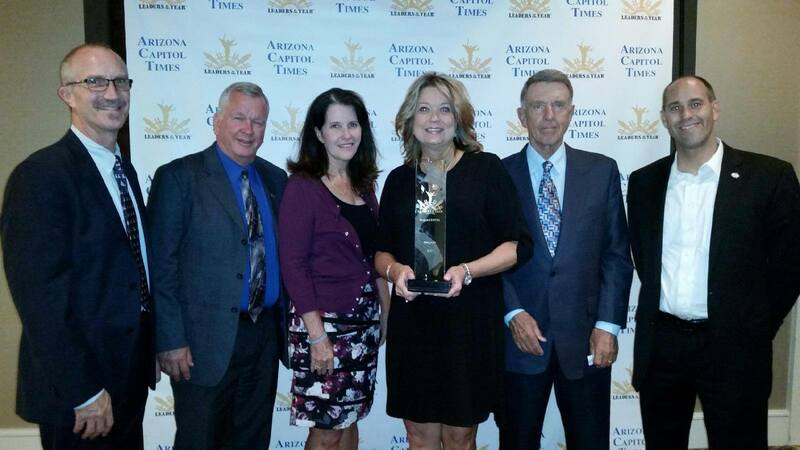 Project CENTRL, Arizona's Center for Rural Leadership, won a Leaders of the Year in Public Policy Award from the Arizona Capitol Times. The project, which was developed by UA Cooperative Extension in the College of Agriculture and Life Sciences and continues to operate in close partnership with the UA, won in the nonprofit category. The Leaders of the Year in Public Policy Awards recognize individuals and organizations for advancing public policy in Arizona. Project CENTRL is an intensive one-year educational program that gives participants personal and professional leadership development experience in areas such as leadership fundamentals, effective communications, community and economic development and more. Monica Kilcullen Pastor, a Cooperative Extension associate area agent, is the program's director, and Karen Vanderheyden serves as program coordinator, senior. These two UA employees work with a volunteer board and of directors to deliver the program. 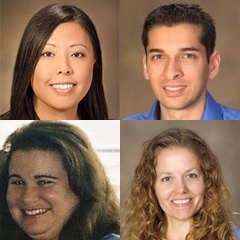 Several faculty members in the UA College of Pharmacy have recently been recognized with awards and professional appointments. Hanna Phan, assistant professor in the Department of Pharmacy Practice and Science, is one of the chairs of board recertification and program development for the Pediatric Pharmacy Advocacy Group Board Certified Pediatric Pharmacy Specialist Recertification Program. She will help lead subcommittees in new content development, post program evaluation and analysis, and reporting and monitoring to the Board of Pharmacy Specialties and the specialty council. Phan also was named recently to the Cystic Fibrosis Foundation Data Safety Monitoring Board. The board is responsible for the safety and welfare of people participating in clinical trials by Cystic Fibrosis Foundation Therapeutics Inc.
Asad Patanwala, associate professor in the Department of Pharmacy Practice and Science, was elected a fellow of the American College of Clinical Pharmacy. The designation recognizes the highest levels of excellence in the practice and science in clinical pharmacy and is the highest honor given by the organization. Patanwala will be inducted during the 2015 ACCP Global Conference on Clinical Pharmacy in San Francisco on Oct. 18. Heidi Mansour, assistant professor in the Department of Pharmacy Practice and Science, has been elected co-chair for drug delivery of the New Devices and Emerging Therapies Group of the International Society of Aerosols in Medicine. ISAM stimulates and furthers interdisciplinary cooperation and exchange of information in all aspects of aerosol research in medicine. Mansour also was recently named an overseas fellow of the Royal Society of Medicine. The Royal Society of Medicine is one of the United Kingdom's major providers of postgraduate medical education. The society promotes an exchange of information and ideas on the science, practice and organization of medicine. 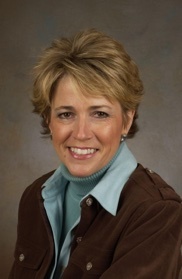 Terri Warholak, associate professor in the Department of Pharmacy Practice and Science, served as the lead of the Education Pharmacists in Quality, or EPIQ, program which has been selected for the 2015 Duncan Neuhauser Curricular Innovation Award in Healthcare Improvement by the Academy of Healthcare Improvement. EPIQ is a resource developed by the Pharmacy Quality Alliance that is designed to train practicing pharmacists, health professionals and pharmacy students in measuring, improving and reporting quality of care in pharmacy practice. We want to know about your good news. If you, your department or a colleague have won any major awards, been honored nationally or internationally, or accomplished some other major feat that deserves recognition, let us know about it. Name of the person or team receiving the honor. Name of the organization granting the honor. A description of the honor. When the honor was announced and when it will be presented (or was presented). A photo of the honoree. If others appear in the photo, please provide their names and affiliations. Questions? Contact Alexis Blue at 626-4386 or ablue@email.arizona.edu.